The prevalence of type 2 diabetes mellitus (T2DM) in adolescents is increasing, particularly among those in lower socioeconomic areas, and of Aboriginal and Torres Strait Islander, Pacific Islander and Asian ethnicities. The aim of this article is to test the acceptability and feasibility of a brief screening program for T2DM risk factors in young adolescents in a general practice in a high-risk, low socioeconomic area. Twenty-two adolescents participated in the program over three months. Anthropometric measures, glycated haemoglobin (HbA1c), lipids, diet and exercise data were collected. Parents completed a short survey. Data were summarised using descriptive statistics and frequency graphs, and brief qualitative data on acceptability were also collected. Nineteen out of the 22 adolescents had at least one risk factor for developing T2DM and 11 had three or more risk factors. Thirty-two per cent of the participants had a parent currently living with T2DM and five out of 22 had an HbA1c level >5.8%, suggesting increased risk for T2DM. Screening was feasible and acceptable in this setting. The findings suggest a need for extended screening in the future. Little is known in Australian general practice about the prevalence of risk factors for T2DM among adolescents.2 General practitioners (GPs) could potentially play an important role in the early detection of risk factors for T2DM among adolescents and in intervening to prevent progression to T2DM. However, screening would need to be acceptable to young people and their parents to avoid any risk of psychological distress or harm, be feasible in practice, and associated with improved outcomes. Ideally, screening would be undertaken in collaboration with schools and other organisations to ensure wide reach into the adolescent population. The pilot study reported here – Identifying Risk for Diabetes in Adolescence (IRDA) – forms the first part of a planned, wider screening program in a collaboration between GPs and local high schools. The aim of the pilot study was to test the acceptability and feasibility of a brief screening program for T2DM risk factors in adolescents in a general practice in a high-risk, low socioeconomic area of regional Victoria. The brief screening program included a short survey instrument, simple clinical measurements and point-of-care pathology testing. One general practice participated in the acceptability and feasibility pilot. This practice was chosen after identifying a community with low socioeconomic status and a high prevalence of diabetes (8%), where the issue of early identification of diabetes would be particularly important. The largest practice in that community was chosen as the pilot site, with a view to extending the project to the only government secondary school in the community if the pilot project suggested this might be valuable. insufficient English language proficiency to understand the study materials and give informed consent. A list of potential participants was extracted from the clinic medical record database by the practice manager and imported into Microsoft Excel spreadsheets, one for females and one for males. A random number generator was used to select 25 potential participants from each gender. The principal clinic GP applied the inclusion and exclusion criteria to the lists. An invitation letter to participate in the pilot study, signed by the GP, was then addressed and sent to the parents or guardians of eligible patients. The process was repeated until a target of 20 screening visits were scheduled. Practice nurses undertook follow-up calls to schedule screening visits for interested participants at the clinic. Participants attended the clinic with a parent. The parents provided written consent and adolescents provided verbal consent to participate in the study. A practice nurse conducted a brief clinical assessment of risk factors for T2DM (Appendix 1; available online only), including BMI, waist circumference, blood pressure (Omron HEM 7211 BP monitor), point-of-care testing for glycated haemoglobin (HbA1c) and total cholesterol (Roche Cobas b101 Point of Care System). Participants and one parent each completed a questionnaire (Appendices 2, 3; available online only) addressing diet, exercise, and ethnic and family background suggestive of high T2DM risk. The adolescents’ questionnaire included 11 questions adapted from the NSW schools physical activity and nutrition survey (NSW SPANS).14 This adaptation was undertaken through consensus by the study team. The parents’ questionnaire consisted of eight questions based on the Australian Type 2 Diabetes Risk Assessment Tool (AUSDRISK).15 All of the materials used in the study were developed and targeted at the adolescent population and their parents in socially disadvantaged areas with potentially low literacy levels. As such, all of the materials were tested using the Flesch-Kincaid readability test.16 The materials in this study had a Flesch-Kincaid score of seven or below to ensure readability. >6.5% (48 mmol/mol) suggestive of a diagnosis of T2DM. A risk assessment report was given to the parent at the conclusion of the screening visit. If any ‘possible risk’ scores were present, a recommendation was made for a GP appointment. Great care was taken to explain that the score indicated only a possible risk of health problems such as T2DM in the future. Participants and parents were asked to provide feedback about the screening visit at its conclusion (Appendix 5, available online only) and a telephone call was made within a week to elicit further feedback from the parents after they had time to reflect on the screening process and risk assessment report. Notes about the feedback provided were made at the time of the telephone call. Descriptive statistics were used to summarise the risk scores, HbA1c, cholesterol and anthropometric measures of the participants. We used simple thematic analysis to analyse notes from feedback calls. Ethics approval for this study was obtained from the Human Research Ethics Committee at the University of Melbourne (Ethics ID 1442068). The pilot study was conducted between May and July 2014. Our initial mail-out of 50 invitations generated no expressions of interest. On the basis of discussions with the clinic staff, we substantially modified recruitment materials to include a simplified flier clarifying that the screening visit was a free service and would not incur any costs to the family. The next mail-out of 50 invitations generated 22 expressions of interest (44% response rate). We screened 22 participants aged 13–15 years (nine males and 13 females). The participants’ characteristics are summarised in Table 1. The maximum number of risk factors for T2DM was seven: BMI, waist circumference, blood pressure, HBA1c, total cholesterol, risk scores for diet and exercise questionnaire, and family background (ethnicity or a family history of diabetes). Nineteen (86%) participants had at least one at-risk value for T2DM, the value being outside the normal range for their gender and age group. Eleven participants (50%) had three or more at-risk values for T2DM (Figure 1). The most frequently observed risk factors are illustrated in Figure 2. High blood pressure was the most commonly observed risk factor (13 [59%] participants).13 Half (50%) of the participants had a family background (ethnicity or family history) suggesting increased risk of T2DM. Of these participants, seven had a parent currently living with T2DM. Among those seven participants, five had a high BMI and four had a high waist circumference. High BMI and/or waist circumference were commonly observed risk values. Five participants had HbA1c values above 5.8%, and the highest value observed was 6.4%. Arrangements were made for those participants to be followed up in the general practice by the participant’s GP with endocrinology input as appropriate. ‡HbA1c of ≥5.8% or 40mmol/mol equates to an increased risk of type 2 diabetes according to the American Diabetes Association guidelines. None of the feedback raised concerns about stigmatisation or psychological distress due to the screening visit. Our results suggest that screening of adolescents in a general practice setting, in a high-risk population, for T2DM risk factors and dysglycaemia is feasible and acceptable to adolescents and their parents. Our participants had a high level of behavioural risk factors, with seven cases of at-risk diet and exercise patterns. There were 19 participants who had at least one risk factor and 12 who had three or more risk factors. The prevalence and pattern of these risk factors are similar to trends observed in the NSW SPANS, particularly in low socioeconomic areas. In the NSW SPANS, 26.1% of those who were obese were from low-income areas. The NSW SPANS study did not collect blood glucose measurements or assess the prevalence of pre-diabetes. Although our small study was not designed to measure the prevalence of risk factors, we did identify a high number of individuals with risk factors of interest. The individuals most at risk for potential T2DM in the future are the five participants with a high HbA1c level, which is indicative of pre-diabetes. This suggests that our open, no-cost-invitation approach in a high-risk area may be useful in targeting adolescents with high individual risk levels. It may be a feasible approach to establishing prevalence data in a supportive setting. In particular, our study did not identify any concerns with stigmatisation or psychological distress as a result of screening. Key factors in our approach may be GP endorsement, providing screening as a free service (as part of a bulk-billing general practice) in a familiar environment and ensuring materials were pitched at an appropriate literacy level. It is important to acknowledge a number of limitations associated with this pilot study. First, although the adolescents invited to participate in the study were randomly selected, those who chose to participate were self-selected so may not be representative of the practice population. Second, as this was a pragmatic study in a real-world general practice setting, we used point-of-care HbA1c testing to determine diabetes risk. However, it is acknowledged that while guidelines suggest this is an appropriate test, HbA1c may not be as good a predictor of diabetes in adolescents as in adults.25 Finally, we used modified survey items and a scoring system in this study. Further validation, testing of inter-rater and intra-rater reliability and sensitivity analyses will be required before use in a larger prevalence study. The high number of risk factors observed in this small pilot study suggests a need for extended screening in the future. However, widespread adoption could only be considered after more robust evidence for effectiveness and cost-effectiveness of screening. Our plan is to extend the scope of the screening to a larger population of adolescents in a school-based study in collaboration with local GPs. This could increase reach while maintaining the supportive, familiar primary care environment we used in this pilot study. Our planned school-based study will provide a more reliable estimate of the true prevalence of these risk factors in a low socioeconomic area with a high prevalence of adults with T2DM. It will also provide the basis for establishing longer term outcomes and effectiveness of screening. The rising prevalence of T2DM among adolescents warrants further examination and preventive action. Competing interests: Jo-anne Manski-Nankervis has, outside this work, received funding from Sanofi and Roche; payment for lectures from Sanofi; payment for the development of educational presentations from MD Briefcase; and payment from Amgen in relation to a roundtable discussion about a new medication. Sillars BA, Davis WA, Kamber N, Davis TME. The epidemiology and characteristics of type 2 diabetes in urban, community-based young people. Intern Med J 2010;40(12):850–54. Australian Institute of Health and Welfare. Type 2 diabetes in Australia’s children and young people: A working paper. Diabetes Series no. 21. Cat. no. CVD 64. Bruce, ACT: AIHW, 2014. Hillier TA, Pedula KL. Complications in young adults with early onset type 2 diabetes: Losing the relative protection of youth. Diabetes Care 2003;26(11):2999–3005. Constantino MI, Molyneaux L, Limacher-Gisler F, et al. Long-term complications and mortality in young‑onset diabetes: Type 2 diabetes is more hazardous and lethal than type 1 diabetes. Diabetes Care. 2013;36(12):3863–69. Browne JL, Scibilia R, Speight J. The needs, concerns, and characteristics of younger Australian adults with type 2 diabetes. Diabet Med 2013;30(5):620–26. Australian Institute of Health and Welfare. Cardiovascular disease, diabetes and chronic kidney disease: Australian facts: prevalence and incidence. Canberra: AIHW, 2014. Australian Institute of Health and Welfare. Cardiovascular disease, diabetes and chronic kidney disease- Australian facts: Aboriginal and Torres Strait Islander people. . Canberra: AIHW, 2015. Rosenbloom AL, Silverstein JH, Amemiya S, Zeitler P, Klingensmith GJ. Type 2 diabetes in children and adolescents. Pediatr Diabetes 2009;10(Suppl 1):17–32. International Diabetes Federation. IDF Diabetes Atlas. 6th edn. Brussels: IDF, 2013. Sanigorski AM, Bell AC, Kremer PJ, Swinburn BA. 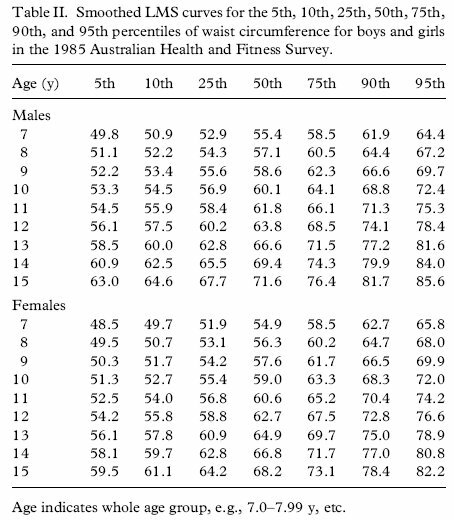 High Childhood Obesity in an Australian Population. Obesity 2007;15(8):1908–12. Williams ED, Tapp RJ, Magliano DJ, Shaw JE, Zimmet PZ, Oldenburg BF. Health behaviours, socioeconomic status and diabetes incidence: The Australian Diabetes Obesity and Lifestyle Study (AusDiab). Diabetologia 2010;53(12):2538–45. Hardy LL KL, Espinel P, Cosgrove C, Bauman A. NSW physical activity and nutrition survey (SPANS) 2010: Full report. Sydney: NSW Ministry of Health, 2010. Chen L, Magliano DJ, Balkau B, et al. AUSDRISK: An Australian Type 2 Diabetes Risk Assessment Tool based on demographic, lifestyle and simple anthropometric measures. Med J Aust 2010;192(4):197–202. Kincaid JP, Fishburne RP, Rogers RL, Chissom BS. Derivation of new readability formulas (automated readability index, fog count, and Flesch reading ease formula) for navy enlisted personnel. Research branch report. Memphis, TN: Chief of Naval Technical Training Naval Air Station, 1975. Rosenbloom AL, Silverstein JH, Amemiya S, Zeitler P, Klingensmith GJ. Type 2 diabetes in children and adolescents. Pediatr Diabetes 2009;10 Suppl 1:17–32. Kuczmarski RJ, Ogden CL, Guo SS, et al. 2000 CDC growth charts for the United States: Methods and development. National Center for Health Statistics. Vital Health Stat 11 2002;(246):1–190. Royal Children’s Hospital. Blood pressure centile charts – Boys. Parkville, Vic: RCH, 2015. Available at www.rch.org.au/uploadedFiles/Main/Content/clinicalguide/bp_charts_boys.pdf [Accessed 28 September 2015]. Royal Children’s Hospital. Blood pressure centile charts – Girls. Parkville, Vic: RCH, 2015. Available at www.rch.org.au/uploadedFiles/Main/Content/clinicalguide/bp_charts_girls.pdf [Accessed 28 September 2015]. Royal Children’s Hospital. Lipid and lipoprotein distribution in subjects aged 5 to 9. Parkville, Vic: RCH, 2015. Available at www.rch.org.au/uploadedFiles/Main/Content/clinicalguide/Lipids_in_children_by_age.pdf [Accessed 28 September 2015]. National High Blood Pressure Education Program Working Group on High Blood Pressure in Children and Adolescents. The fourth report on the diagnosis, evaluation, and treatment of high blood pressure in children and adolescents. Pediatrics 2004;114(2):555–76. The Royal Children’s Hospital. Smoothed LMS curves for the 5th, 10th, 25th, 50th, 75th, 90th, and 95th percentiles of waist circumference for boys and girls in the 1985 Australian Health and Fitness Survey. Parkville, Vic: RCH, 2015. Available at www.rch.org.au/uploadedImages/Main/Content/clinicalguide/waistcircumcentiles.jpg [Accessed 29 September 2015]. American Diabetes Association. Diagnosis and classification of diabetes mellitus. Diabetes Care 2010;33(Supplement 1):S62–69. Lee JM, Eason A, Nelson C, Kazzi NG, Cowan AE, Tarini BA. Screening practices for identifying type 2 diabetes in adolescents. J Adolesc Health 2014;54(2):139–43.